Turkish President Recep Tayyip Erdogan has said that his government maintained "low level" contact through its spy agency with Syria's leadership, even though it was one of its most critical critics. Erdogan's comments on Sunday were the first confirmation of direct discussions with Damascus. "Foreign policy is being implemented with Syria at a low level," he told the state TRT television in an interview, adding spy agencies could maintain links even though their leaders did not. "Though it is your enemy, you will not completely break ties if you might need them." Turkey, home to nearly four million Syrian refugees, supports moderate rebels seeking President Bashar al-Assad's removal from power during the nearly eight-year war that has killed hundreds Of people. 1 crash on popular dissent, where Erdogan condemned him as "killed is Assad". The Turkish leader has ruled out direct talks with Assad, and Foreign Minister Mevlut Cavusoglu said in December that Ankara was only in contact with Damascus through third parties, Russia and Iran. Support for US Expiry  Asked about US troop shooting plan, Erdogan said he hoped Washington would soon withdraw its 2,000 troops from Syria. If not, he warned Ankara would take steps to avert the possible "terror" threat that a US-backed Syrian-Kurdish militia known as YPG. "I hope [the US] will complete [the pullout] for a short period because we do not want to live under threat," Erdogan said. "When we see a sign of threat, we will do all that is needed." The Erdogan government welcomes the surprise in December of US President Donald Trump that he took American forces from the war-torn country. It asked Turkey to launch its plans to launch a military operation in Syria in order to operate YPG, known as "terrorists" by Ankara. Turkey is pushing a 32 km "security zone" in northern Syria after receiving US support along its southern border. Erdogan showed the proposed buffer zone on the map under the live TRT broadcast, which he said would extend from Jarabulus in northern Syria to the Iraqi border. He called on the United States, a NATO ally to entrust the security of the zone to Turkish troops. On a press release on Monday, Ibrahim Kalin, Turkey's Presidential spokesman refused reports suggesting Turkey and the United States agreed on the conditions for the safe zone Turkey is ready to monitor the area with the United States, but Erdogan said: "We can Don't leave it to coalition forces because we need to feel safe. "" We can't trust the coalition forces … They have neither the troops to secure security nor logistically mean, "he said. 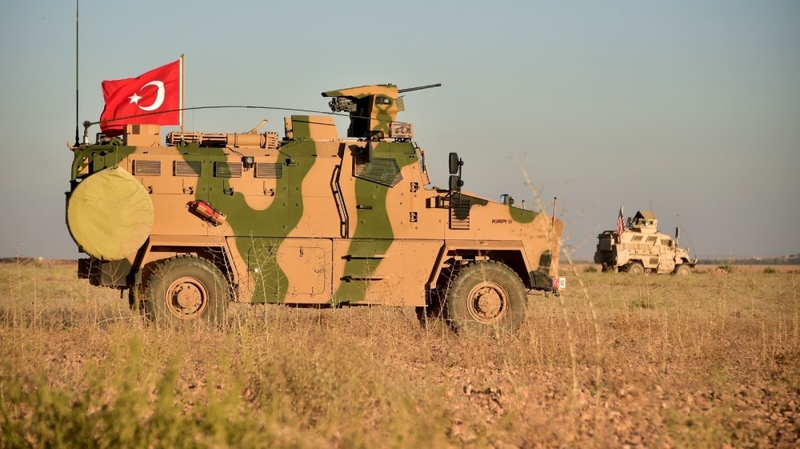 The Turkish army launched two major operations in Syria in 2016 and 2018 to fight Syrian Kurdish fighters as well as the Islamic state of Iraq and the Levant (ISIL, also known as ISIS) fighters. The spread of Turkish troops and proxy forces in areas in northwest Syria has drawn accusations from some critics of military occupation. Erdogan, who visited Russia for negotiations on the security zone last month, also said he would meet President Vladimir Putin in Sochi on 14 February.